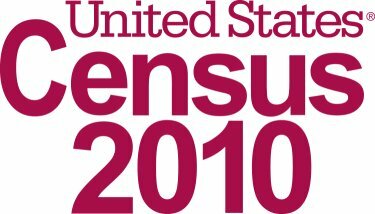 The United States’ decennial 2010 Census of Population and Housing commenced in March this year, with the counting and surveying of all 300 million U.S. residents. As with the previous census in 2000, Space-Time Research’s technology is playing a key role in meeting the challenges raised by this very significant operation – challenges posed to varying degrees at many of the world’s leading official statistics providers. SuperSTAR provides the sophisticated, powerful table creation functionality and high speed, high volume batch data processing needed to fulfil the U.S. Census Bureau’s stringent deadlines and quality requirements. Partnering through IBM, Space-Time Research’s SuperSTAR suite acts as the census’ Data Product Production (DPP) subsystem. This is the “engine room” of the census output production process. SuperCROSS is used to define and refine the table structures that need to be produced, from which a series of table definitions are generated. These table definitions feed into the SuperSERVER production system which will be used to generate the approximately one million tables that form the basis of the many complex data products flowing from the census. Upstream from this, SuperSTAR is also being used by Lockheed Martin to help monitor data quality during the actual receiving, capturing and standardizing of the census data. SuperSTAR was selected for the DPP subsystem because it delivers the ease of use, throughput, consistency and scalability demanded by the US Census Bureau for their complex table requirements. These capabilities are a direct result of the more than 20 years experience Space-Time Research has had in supporting official statistics providers with the crucial technology they need to meet their goals and objectives. The same microdata tabulation technology used for the U.S. Census also forms the core of Space-Time Research’s SuperWEB and SuperVIEW online dissemination solutions, used by official statistics providers around the world.